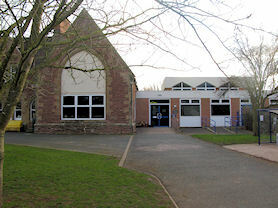 A warm welcome to St. Michael's Church of England Primary School (part of the Bishop Anthony Education Trust). As a primary school we are able to develop relationships over a period of seven years: valuable and beneficial for both the children's education and the school as a whole, with the home-school partnership being all important. Our aim is to create a happy and secure atmosphere where your child will always be encouraged to do their personal best. We provide a broad and balanced education and place a great deal of emphasis on the traditional values of hard work and good behaviour. Please see our Contact Information page for all the ways to get in touch with us, and if you have enjoyed your visit please leave us a comment on our Guestbook. 29 Mar 19: Updated Complaints and Data Protection Policies. 09 Mar 19: Sports Premium Report for 2018/19 and updated report for 2017/18.